Home » science » Why Does Medical Science Keep Changing Its Mind??? Why Does Medical Science Keep Changing Its Mind??? 1) Triceratops with their beautifully placed 3 horns is actually the teenage dinosaur version of the adult Torosaurus (who had ugly asymmetric horns). Now... a decision had to be made regarding which name to stick with. 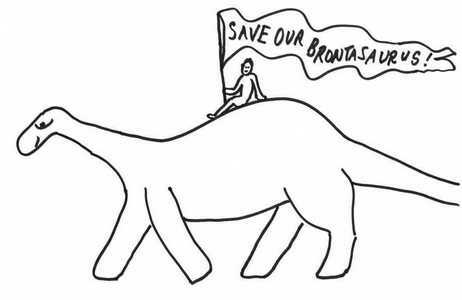 Ultimately, "Triceratops" won out, perhaps because of the "Save the Triceratops" Facebook page??? 3) Pluto is no longer a planet... tell that to many elementary school children who are still being taught Pluto is the ninth planet in the solar system. 2) The tongue is able to sense four different taste qualities -- sweet, bitter, sour, and salty. Now hold on... don't forget about umami (or savory added in 1985) which brings it up to five taste sensations... Oooops... there's now possibly a sixth simply called "calcium" which has been proposed in 2008 (but not official yet, but maybe soon). 3) How many sinus cavities are there? Most people are aware of the frontal, maxillary, ethmoid, and sphenoid sinus cavities. You ask an ENT that question and they'll probably answer the same... but if you press harder for other sinus cavities beyond those basic 4? You just might get them to start listing the agger nasi cell, onodi cell, haller cell, concha bullosa, etc. For that matter, most people believe the nose is just an empty cavity that connects to the sinuses for drainage and allows breathing. Not so fast... The nose contains a midline wall called the septum that divides the nasal cavity left and right. Within each side, there are 3 sets of turbinate tissue (inferior, middle, and superior). For awhile, even in the ENT world, there's been debate whether the superior and even a supreme turbinate is present. The take home message here is that science constantly evolves and is never quite the universal truth people think it is. It is ever-evolving and changing... just like the iPhone or your computer's microchip. However, it is not as bad as it used to be... After all, people believed the earth to be flat and that the sun rotated around the earth for centuries... to think or say otherwise resulted in scientists being even executed or arrested!